Bathgate: Reformation Scotland, 2017. . 34 pages. 95 short extracts on categorised topics, taken from the publications of the Westminster Assembly, and designed as a call to personal and church reformation in our own generation.. Pamphlet. New. Tain: Christian Focus Publications, 2000. . 240 pages, paper a bit browned. The story of the railway worker turned minister John Pugh who with two other Evangelists worked among the English speaking underclass in South Wales at the end of the 19th century. 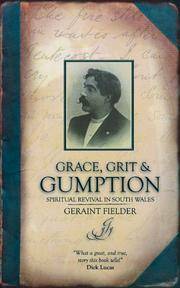 The resulting revival had a profound spiritual effect in Welsh society in the early 20th century.. First Edition. Paperback. Average. Edinburgh: Banner of Truth Trust, 1980. . 598 + 602 pages. A little browning/foxing to edges.. Cloth. Good/Good. Edinburgh: Banner of Truth Trust, 1976. . 570 pages, facsimile of Vol 1 of Whitefield's Works (1771 ed) in brown type on quality cream paper. . Cloth. Good/Good. London: Banner of Truth Trust, 1971. . HARDCOVER (CLOTH), 256 pages. Edges foxed, illustrations missing.. First Edition. Cloth. Average/Average. 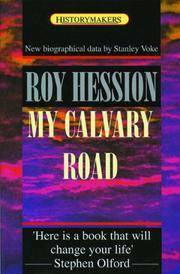 Tain: Christian Focus Publications, 1996. . 237 pages, autobiography of the author of The Calvary Road, including account of revival in Uganda. Paper a bit browned, especially edges.. Paperback. Average. London: Banner of Truth Trust, 1958. . 176 pages, undated, foxed. The content of Vol 1 as originally issued by the Banner of Truth Trust is not altogether the same as that in the 1965 and later printings, which had 244 pages.. Hard Cover. Good/Average. Belfast: Ambassador, 1987. . 160 pages.. Paperback. Very Good. Edinburgh: Banner of Truth Trust, 1990. . 708 pages, reprinted from the third edition of 1853. Edges foxed. The Haldanes were Scottish landed gentry who gave up their inheritance (Airthrey, now the site of the 20th century University of Stirling) in order to be able to evangelise and fund church planting throughout Scotland. Their work had wide influence, not only in the Independent and later Baptist churches they founded, but in the impetus given to evangelicalism within the existing national Presbyterian churches. Bottom of spine slightly rubbed, one tiny foxing spot found to top edges, otherwise in excellent condition with a decent dust-jacket.. Third Edition. Cloth. Good Plus/Good Plus. London: Hodder & Stoughton, 1910. . 317 pages. Covers heavily damp damaged though with very little smell. This appears to be a reprint in a slightly more compressed format of the first of two books included in "Andrew Bonar: Diary and Life" published by the Banner of Truth Trust.. Popular Edition. Cloth. Poor. Edinburgh: Banner of Truth Trust, 1975. . 301 pages, illustrated. . Paperback. Average. Leiden: Uitgeverij J J Groen & Zoon, 1993. . 126 pages, the story of the revival in Cambuslang, Kilsyth, and beyond. Top edges slightly browned.. Paperback. Good Plus. Edinburgh: Banner of Truth Trust, 1973. . 417 pages, illustrated. Biography of a great Welsh preacher connected with major revival in Anglesey. 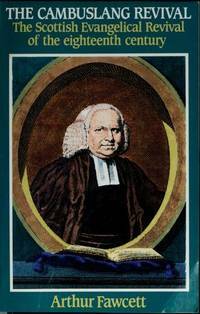 A revised combined edition of "Memoir of John Elias" and "Letters, Essays, and Other Papers". The fore edges of a few of the pages have been slightly dented, and have very slight foxing.. Cloth. Good/Good. Falkirk: T Johnston for W Burns, 1798. . x + 300 pages, rebound with leather spine and corners, red and gilt spine label and marbled boards. Scarce 18th century printing of the original biography of Whitefield.. Half-Leather. Good. London: Duckworth, 1933. . 138 pages.. Cloth. Average. Wheaton: Richard Owen Roberts, 1980. . 378 pages, sturdy cloth binding, excellent condition aprt from some discolouration to top edges.. Cloth. Good Plus. Wheaton: Richard Owen Roberts, 1980. . 148 pages. Originally published in 1842.. Cloth. Very Good. London: Robert Culley, 1907. . 331 pages, rebound in sturdy green cloth by the Atkinson Public Library in Stockport.. Cloth. Average. 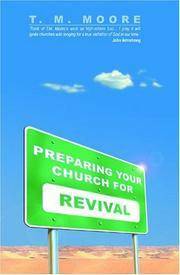 Tain: Christian Focus Publications, 2001. . 111 pages.. Paperback. Average.